Recently dumped by his fiancée and with a stagnating standup routine, aspiring comedian-slash-copywriter Paul is stuck. 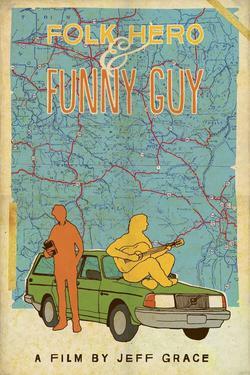 The manager of the club where he performs suggests he take some time off to update his comedy material, and in waltzes his childhood friend Jason Black, an acclaimed folk-rock musician about to embark on a solo acoustic tour of the east coast. Jason suggests Paul needs to get his mojo back-and he should start by opening for Jason on tour. They set off on the road together, picking up a new act on the way. But when Jason reveals an ulterior motive behind the tour, rifts are exposed in their otherwise affable camaraderie.